Th e Nine Lives of Julius is the untold true story of a young man whose life was forever changed by World War II and its aftermath. Th is is a tale of survival, friendship, and love. As a teenager, Julius was taken by the Nazis to work in a labor camp outside of Auschwitz. After escaping the labor camp, he joined the Czech underground where he fought against the Nazis during the Czech uprising. After the war, the communists attempted to arrest him for helping his twin brother escape Czechoslovakia. He had to immediately fl ee without a farewell to his family or his fi rst true love. As a young man, he performed espionage missions against the communists. On one of these missions, he was shot and captured by the Czech border police. He spent the next several years in communist prison and labor camps. Eventually, Julius escapes the labor camps and fl ees into Germany where he joins with a new unit of the US Army called the Green Berets. Julius' compelling story tells about wartime hardships and how he somehow managed to cheat death so many times. His story reveals the good in people and of the wonderful friendships that helped him to survive. 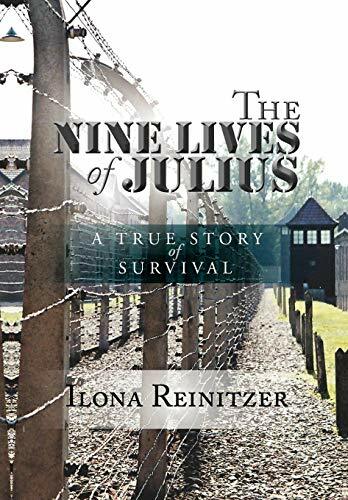 Ilona Reinitzer, daughter of Julius Reinitzer, has written this book to preserve her family history and inspire future generations who face hardships. Her hope is that the book's uplifting theme of friendships, determination, and positive outlook may help others facing adversity to find new strength. She lives with her family in New Hampshire.